Our team is made up of the most competent, highly professional, resourceful and well educated staff members. If you think you have what it takes to be a part of our team, then you are just what we need. Being a member of our team, you can expect to work with the finest professionals in this elite resort. We currently have job openings in a wide range of positions here at our Tioman Island Resort. Among our job requirements include F&B, maintenance, front desk, professional spa therapists, housekeepers, and Eco Learning and Discovery Center team members who specialize in trekking, snorkeling, scuba diving, and life saving. If you dream of working with us on any of these job positions, then feel free to send us an email with your updated resume at careers@payabeach.com. Once we see you as the right person we need, you are more than welcomed to join us! 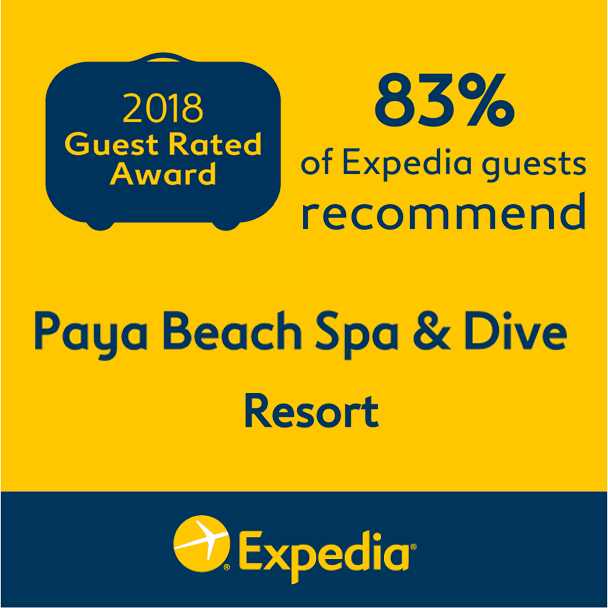 Paya Beach Spa & Dive Resort is located centrally at the central western shores of Tioman Island Malaysia. Explore the exclusive white sand beach that spans across our beachfront resort and create memorable experiences at the one and only Beach Front Resort with full facilities at Paya Village, Kampong Paya.